I am an avid Audrey Hepburn fan. I have seen most of her movies and am just enamored with her iconic style, beauty and grace. I recently got an idea that I wanted to paint a pop art portrait depicting her blowing a bubble in pink bubble gum. To my dismay I realized that not only had Audrey blowing a bubble gum bubble been done, but it was done by a world famous artist making $40,000 a painting off of this idea. 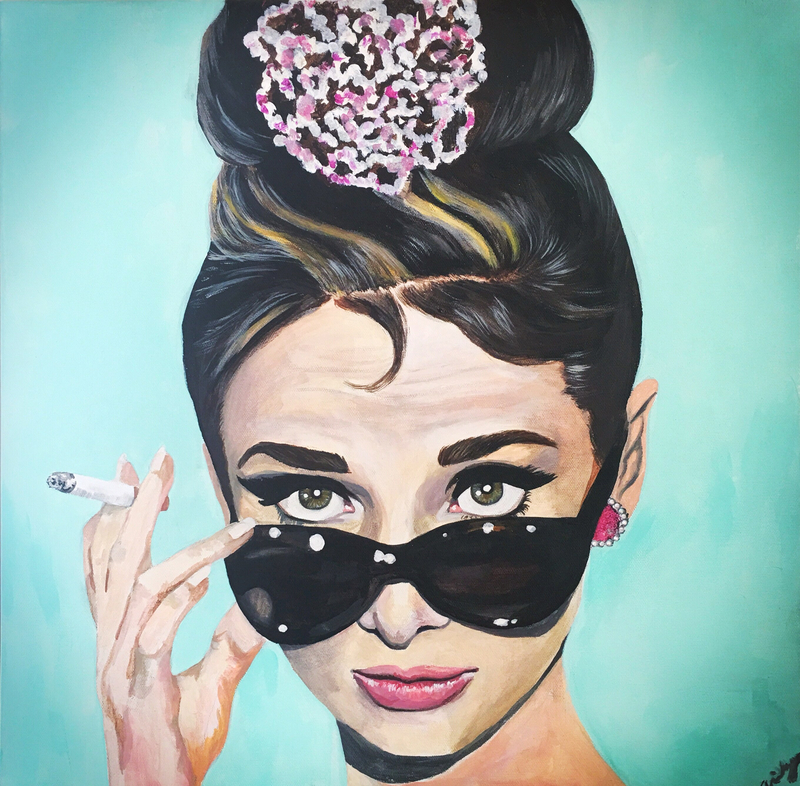 I must mention that this artist had a way cool concept of the idea, using a Tiffany blue bubble and depicting her with the iconic Breakfast at Tiffany’s attire on. What happens now!? Do I stop, do I complete it? At first, my heart sank because I thought that if I, a no-name unknown artist, painted a portrait with the same concept, then I could end up on someone’s dreaded sh*t list for being a copy cat. It’s hard to be original in the art game. Within minutes, my disappointment faded, the more I thought about it, my concept was not exactly the same. I decided that I am still going to paint the portrait, but not exactly how I had imagined it which can be just as good.